ZhongAn Technologies International (ZA) has been granted a virtual banking licence by the Hong Kong Monetary Authority (HKMA) through its subsidiary ZhongAn Virtual Finance Limited (ZAVFL). The licence allows the company to offer a wide range of online financial services to Hong Kong users. Registered users will receive updates about ZA’s developments and they will have the opportunity to directly contribute to ZA’s product development and design process. ZA says its approach encourages users to participate in product design and development discussion, guiding the company to design and develop products and services to better serve its users. 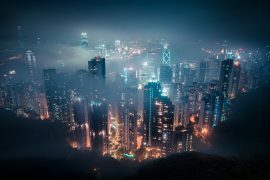 The virtual bank is set to go live and launches its first services in six to nine months’ time, so the first batch of products will be launched in the Hong Kong market this year. There have been two relevant announcements to this one this week, most remarkably the launch of a virtual bank in the city state by Standard Chartered and partners. The second involves the co-creation of a digital bank by ING and Bank of Beijing – this one is to be launched in mainland China.